We have access to over 80% of the world's available data, which equals over 4M+ gigabytes of data generated per day. Our engineering team specializes in building enterprise grade analytic systems. We are building AI applications that can scale learnings to massive datasets. As a Sr. Software Development Engineer, you will join our team to help create and scale our ML and AI algorithms to learn from massive amounts of data. Our perfect coworker is smart, self-directed, research oriented and passionate about helping our customers. It's critical that you are comfortable working on the cloud, can work in a self-learning manner and research and implement the latest AI technologies. They know how to manage their time effectively and prioritize the tasks in front of them. Sounds like you, please drop us a line! Map out applicable techniques, scaling implications, accuracy, performance analysis, etc. Surprise us with your brilliant ideas and enthusiasm! Python data science stack: jupyter/zeppelin notebook, sklearn, pandas, matplotlib, etc. We are a fast-growing, venture-backed, early-stage AI startup in the heart of Silicon Valley currently operating in stealth mode. We are the solution of choice for the Fortune 500. * We have built some of the largest revenue generating online systems in the world in areas of data science, systems engineering, and management. 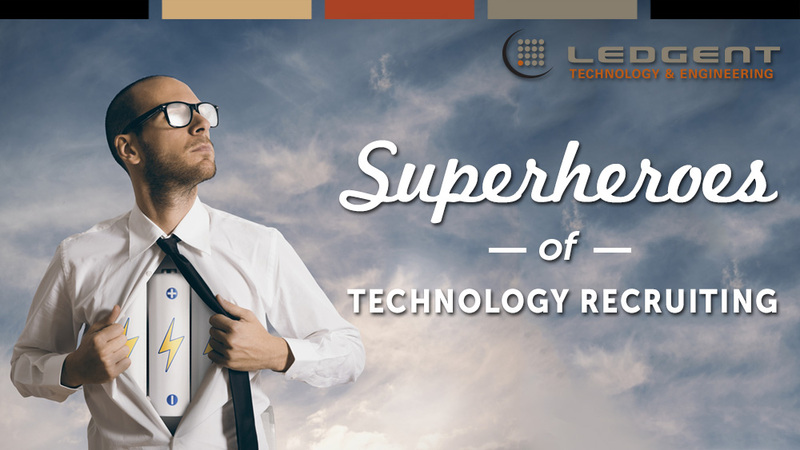 Ledgent Technology recruits and hires technology professionals for some of the most prestigious tech companies and IT departments in the nation. We specialize in the placement of both full-time and contract professionals. We are recognized as the very best recruiting firm in the industry. We’re the only one to receive all four of the most prestigious honors awarded! This includes "Best Staffing Firms to Work For" and "Best of Staffing® - Talent Satisfaction" plus we were also recognized on Fortune’s 50 Best Small/Medium Workplaces in the US. The companies we work with pay us to find you, you do not pay for our service and support. Partnering with us means we can help locate a position at a company that has the work environment you seek; you can continue your own job search while we send you to interviews for open positions with our clients. If you'd like to have a flexible schedule and variety in your work, we can place you on contract/project assignments to get more experience or to provide more freedom in your schedule. You've come to the right place for placement. You've come to Ledgent Technology! Thanks for applying for the position of Sr. SW Dev Engineer - Machine Learning with Ledgent through Dice.